Athletes might get tested anytime and anywhere without previous notice, no matter if they are included in an UIPM Registered Testing Pool (RTP) or not. Generally we distinguish In-competition testing and Out-of-competition testing. 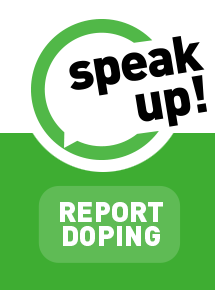 Report Doping in Sport provides an avenue for anybody to voice concerns about doping in sport. It is tool provided by WADA and completely independent from UIPM or any other federation.